Oto-Ease makes wearing hearing aids easier and more comfortable. 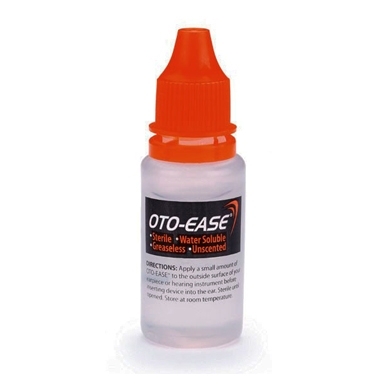 Westone Oto-ease helps you insert earpieces such as custom ear plugs, hearing aids, ear molds and other earpieces, including do it yourself ear plugs is easier with the Oto-Ease. Oto-Ease is a sterile, unscented lubricant designed specifically for custom earpieces. The unique formula provides a non-greasy, water-soluble solution for hearing device wearers while also helping create an effective acoustic seal.